Transmetron offers full-service , DOT qualified drug & alcohol testing includes consortium services. Fulfill your DOT Drug Testing requirements with our professional lab. We can also serve businesses at their own area facility (On-site testing). If your organization is regulated by the Department of Transportation, then you are required to follow DOT testing guidelines. Transmetron Drug Testing can assist you in meeting all requirements for maintaining a drug-free work environment and performing key DOT testing, including physicals, for your employees. We provide comprehensive DOT testing services to ensure your full compliance with all federal regulations. We service Third Party Administrators (TPAs) with all types of DOT testing collections. Our on-site services ensure quick, professional service. What Organizations are Regulated by the DOT? Transmetron Drug Testing can help your organization stay abreast of all DOT testing requirements for by many regulatory agencies, including the Federal Motor Carrier Safety Administration (FMCSA), Federal Transit Administration (FTA), Federal Aviation Administration (FAA), Federal Railroad Administration (FRA), Coast Guard, and Pipeline & Hazardous Materials Safety Administration (PHMSA). Why Partner With Transmetron Drug Testing for DOT Drug Testing? Working with Transmetron will ensure your compliance to DOT testing regulations. You have enough to worry about when it comes to maintaining your fleets, managing your staff, and running your business. 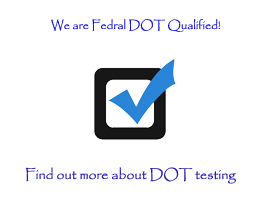 Safety is your top priority, suring you stay in business and meet all mandated testing is our top priority. Transmetron Drug Testing stays up to date on ALL DOT drug testing and physical exam requirements, meaning your business will be current and in line with applicable laws. This will not only reduce your legal liability, but also keep your workplace and your community safer. The official drug testing procedures are based on those established by the Department of Health and Human Services. 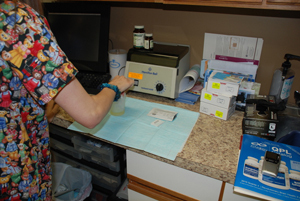 These procedures include: urine sample collection, laboratory procedures, and reporting and record keeping of final results. Only laboratories qualified by Health and Human Services under the National Laboratory Certification Program (NLCP) may be used. These procedures exist to safeguard accuracy and to protect the privacy of drivers. The Omnibus Transportation Employee Testing Act of 1991 requires drug and alcohol testing of safety-sensitive transportation employees in aviation, trucking, railroads, mass transit, pipelines and other transportation industries. Transmetron offers fully DOT-compliant drug testing services as established by 49 CFR Part 40. Please contact Transmetron for more D.O.T. Testing information.